I loved staying here! Jolanda is a gracious host and emailed me specific directions to the apartment building prior to my arrival. Breakfast was great - fruit, yogurt, milk, toast, and an espresso maker in the apartment. Located a kilometer from the Cipro metro stop. Grocery store, convenience stores, and restaurants all within a 5-10 minute walk. Exceptional value for your money. Would highly recommend staying here! 'A casa di Jolanda' is definitely one of my favourite B&Bs I've ever been. 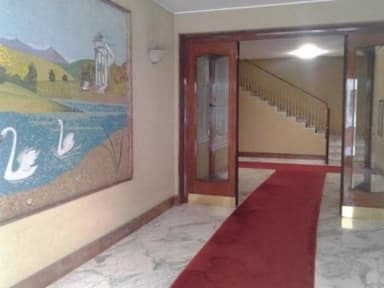 Great location, very close to the metro station/bus stop and about 15 min by foot to the Vaticano. Safe, quiet, clean and comfortable place. Nice breakfast, excellent WFi signal and Jolanda is always ready to help us with anything we need. She is a great example of how friendly and nice Italian people are! Thank you for everything! I would definitely recommend this place for all my friends and would stay there again! Jolanda was an exceptional hostess. She went above and beyond to help me when my itinerary got a little messy. She is friendly and interested in her guests. The room was very comfortable. I enjoyed the walk into Rome. The Vatican City is only a 15 minute walk, but there are also metro, bus and train stations nearby. I highly recommend staying here if you are planning to stay in Rome. What an amazing place to stay while in Rome! Jolanda was so kind and very helpful. Its a bit difficult to get there from the airport but its walking distance from Vatican city and getting to the city center is pretty simple. I would stay there again for sure! Big added thanks to Jolanda for helping us coordinate with the airline who lost our bags. She saved the day by making sure they made it to our room! It was a good stay, Jolanda is so kind and polite and gave us a tip about a wonderful traditional restaurant located five minutes from the B&B. Good value for money, we recommend to everyone. 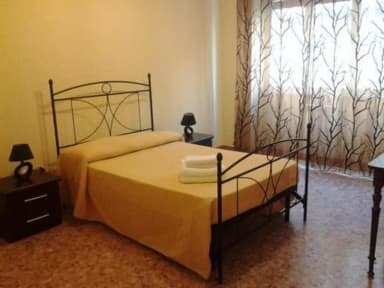 With a great location (minutes walk from the Vatican, a major bus route right across the street) this place is nestled in a nice, safe part of the city. Jolanda is a very sweet lady who is happy to recommend places and tell you the best way to get around the city. The facilities are clean, the rooms have their own lock and key so everything felt secure. I Highly recommend staying here! Also, the worlds best gelato is right outside the building. Can't go wrong! Thanks Jolanda--we had a very nice stay in Rome and enjoyed your hostel! The location isn't the MOST convenient unless you love the Vatican, but it's not bad. We went in September and there's no A/C so it got a bit warm despite the fan in the room. But Jolanda cleans and provides muffins and fruit every day--thank you! Another plus side, it's in the outskirts of town away from all the touristy stuff, and we found this amazing, cheap 4th generation family-run restaurant just down the street. Agree with the other reviews. It's an Air BnB, where you get a basic breakfast (toast, yogurt, milk, coffee). Clean, spacious, with a nice balcony to sit at while you eat breakfast. A bit more expensive, and about 15 minutes walk to the nearest train station; also a bit difficult to find.